Create your graphics to promote your up and coming event. Capture key-take-aways and actions from the event. Take photos of your event. Create a Lean In Women of Color page on your website- You can create a page on your website specifically for the Lean In Women of Color Program. Additionally, you may use any of the graphics and materials from our Google Drive which is linked below to help guide you. Launch a Social Media Campaign- Using Lean In Women of Color materials from its website or folder on Google Drive, participants can share the program’s message and materials. Whatever the medium, relative posts and messages can accompany the following hashtags- #leaninwoc, #leaninwomenofcolor, #breakingbarriers. Also, feel free to cc post-conversations with @LeanInWOC, @LeanInOrg . ADVISOR- We count on our database of advisors to lend their expertise and input. Regardless of gender, cultural background or geographic region, we welcome the bright minds of different leaders, organizations, and companies. DIRECTOR- Participate by starting a Circle or leading an existing Circle. Also, Directors may launch a Lean In Women of Color Event, create a social media campaign and/or develop a page on their website. 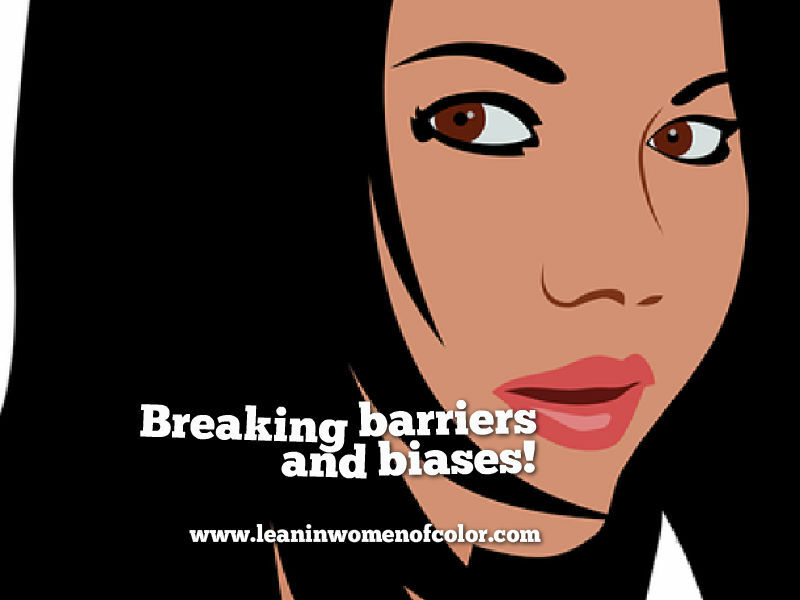 PARTNERS- Lean In Women of Color resources and tools is for everyone. During company downtime or in between meetings, companies can host workshops or discussions. Additionally, companies can become a LeanIn.Org partner then appoint a liaison to join the Lean In Women of Color Chapter. Contact us and let us know you're IN! Email us about participating! Need our help and assistance with a workshop, don't be afraid to ask. Or if you are unsure of what will work best for you, shoot us a message at info@leaninwomenofcolor.com.